However, after that the academician can seriously damage his reputation as a leading specialist. The next day I received a very short reply from the academician: dS ~ – ds. This is the whole answer. There was nothing else. I hoped that Lev Okun would fulfill my request. It was very simple: he should indicate a sentence with an error. In my view, it looked like the following. A person reads the first sentence, then the second, then the third… He sees, say, the error in the third sentence. After that, further reading is optional. He writes me only one figure “3” or some other figure. 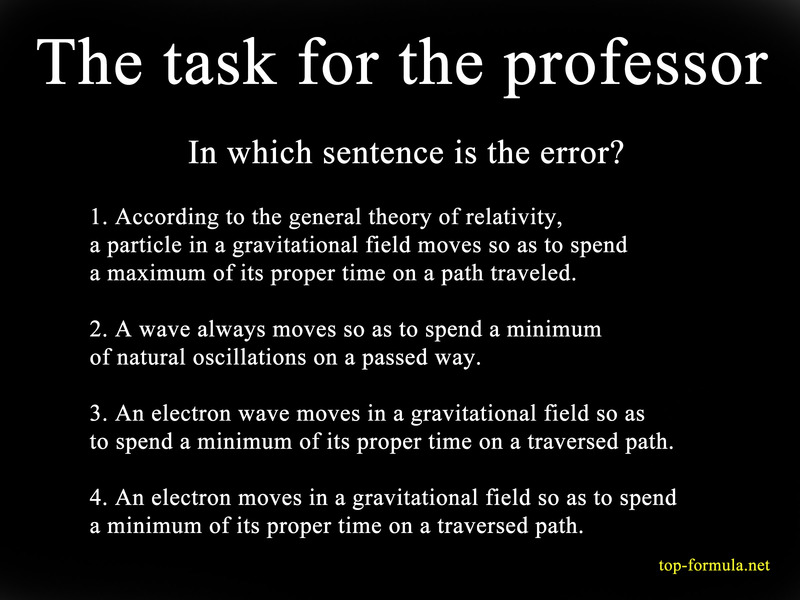 The first sentence is the basis of the general theory of relativity. The second sentence is the foundation of the wave theory. The third sentence is a special case of the second sentence. In the fourth sentence, the term “electronic wave” is replaced by “electron”. All the rest in these sentences is the same. Any answer could compromise the scientist. So there is no mistake? This cannot be, because the forth sentence clearly contradicts the second one. Perhaps, for this reason, the academician evaded a direct and simple answer, but instead he sent me a well-known formula from the course of theoretical physics. Well, what can I say? A straight line in 4-dimensional space has a maximum length. This is a fairly banal and well-known assertion concerning pseudo-Euclidean geometry. How can such a statement help resolve the paradox? I realized that the academician does not know how to solve this paradox. If he knew, he would write. He would not hide his knowledge. Moreover, he would be delighted at the fact that ordinary people, like me, are so deeply digging in the general theory of relativity. Let’s sum up. 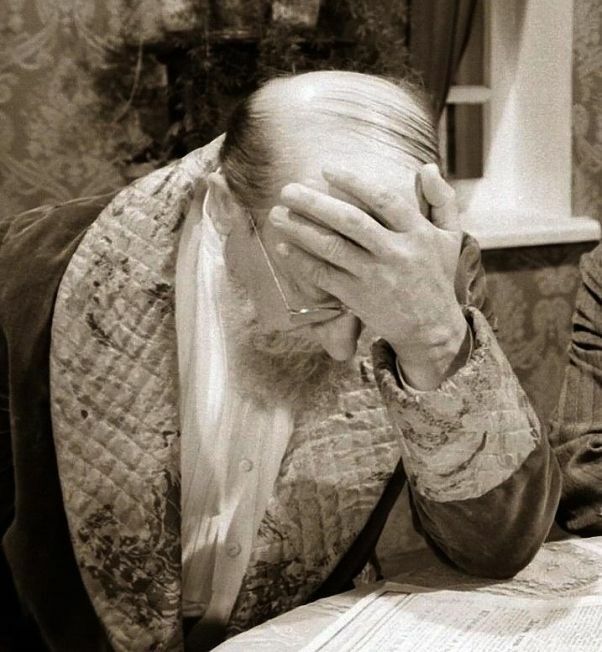 Not a simple academician, but a leading specialist in general relativity in Russia, whose methodological articles are published in prestigious Russian and American journals, does not know how to resolve the paradox. Moreover, judging by his answers, he did not think about this paradox. This means that he had never heard of it before. That is, this paradox was not discussed in serious scientific journals. Consequently, none of the scientists did not try to answer it. Therefore, there is no point in asking scientists about this. Well, except for the purpose of not getting an answer, but to compromise them and to show that modern scientists do not understand the basic principles of physics, since they do not see an obvious contradiction between the foundation of general relativity and quantum mechanics.